The KCA funds basic but limited municipal services not provided to our Hamlet by the Town of Islip. Each year, the KCA expends its annual dues income, supplemented by carry-over funds from previous years, to keep the community clean and litter free. This includes sidewalk street cleaning, landscaping, and maintenance and repairs. The KCA contracts with Sam Wood Inc. for community maintenance services. Sam’s work crews clean the walks, tennis courts and playground and undertake projects and repairs as needed for the common areas. JMA Industries (John Altieri) provides container carting services required to remove the debris and trash collected to the mainland landfills. The KCA coordinates with the Town of Islip Department of Parks and Recreation with respect to equipment and repairs and services for the Town’s tennis courts and children’s playground in Kismet. The KCA also initiates and coordinates improvements to the infrastructure such as, the new sidewalk construction completed in 2007. The KCA also communicates on a regular basis with the Islip Town Board, Town Attorney, Town Engineer and Comptroller’s and Assessor’s Offices; the Suffolk County Legislature and Suffolk County Police Marine Bureau, and with NYS elected and appointed officials and staff. 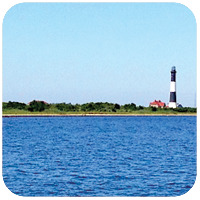 The KCA is represented on the Board of Directors of the Fire Island Association, representing all 17 Fire Island communities. Kismet’s president, Marsha Hunter, represents Kismet on the FIA Board and also serves as an Officer of the FIA and is a member of its Executive Committee. For general information about the FIA, go to the FIA link. 1.) Put your garbage bags in garbage cans and seal the lids tightly. 2.) Put the cans in a secure rack. 3.) Put your weekend trash out Sunday night, NOT Monday morning. Call the private trash carter who picks up your regular trash. You must call. He will not pick up large items unless you call. Please carry-on carry-off your trash on the beach. Nearly all of the KCA’s annual dues go to trash collection and clean up of public areas. In addition, the KCA has led the community’s effort to put in new sidewalks, tennis and basketball courts, playground equipment, the dockside police facility and protective sand dunes. Many of these services have been funded partially by KCA funds, highly leveraged through setting up special tax districts and obtaining matching municiple grants. 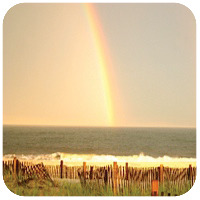 The vast majority of Kismet homeowners and businesses pay their dues. Pitch in and pay your fair share as well. 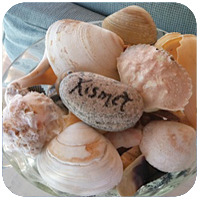 It is an important part of keeping Kismet a clean and safe place to live and enhancing the value of your property. Equip every floor of your house with a smoke alarm and dry chemical fire extinguisher. Replace all smoke alarm batteries at the start of the summer. Cut vegetation back at least five feet from the side of your house. Report fires immediately. Do not assume someone else has. Do not crowd the walks at the scene of a fire. All dogs must be on a leash and licensed at all times. Violators shall be liable up to $250 in penalties. Please respect your neighbors. Keep your dog out of private yards. Always clean up after your dog. Riding the walks at night without a light is an unfortunate tradition that is dangerous to you and pedestrians. With the new walks, let’s start a new tradition of bike safety! All bikes must be equipped with a bell or a horn. At night, all bikes must be equipped with reflectors and a working headlight. Bikes are often stolen at night by people leaving Kismet to head to other towns, and sometimes turn up abandoned around the island. You should secure your bikes at night and report all bike thefts to the police. To aid in getting bikes returned, mark them with your phone number and register them at the Saltaire Security Office ($1.00 fee). Passenger Ferry: You may carry 2 pieces of hand luggage, 25 lbs. total free of charge for each adult fare paid. You can also pay an extra fee to bring on cartons, grocery bags, shopping carts and luggage carriers subject to space and weight limitations. Freight Ferry: All other items including large cartons, plants, furniture, all bicycles (even little ones), wagons, scooters and heavy baggage must be shipped on a freight boat, which leaves Bay Shore at 10AM Monday-Friday year ’round and on Saturdays during the spring and summer. No lumber is accepted on Saturdays. If you are having merchandise shipped to you, have it addressed to: YOUR NAME, Kismet, c/o Fire Island Ferries, 99 Maple Avenue, Bayshore, NY 11706. IMPORTANTLY call the ferry to let them know it is coming.